The latest assignment was to include a border on the page of a sketch with the subject of our choice. 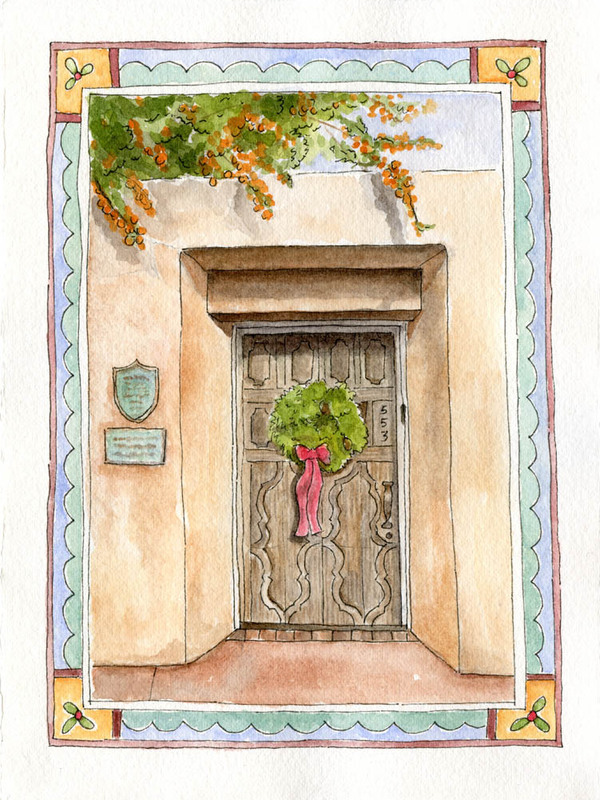 I decided to do another of the Santa Fe doors I started in my journal. I've added a border with the kind of design elements that were in the decorations around the B&B that we stayed at in Santa Fe.